Here you will find a collection of military, war and armament references. We do not use stock photos, the picture displayed is of the actual book for sale. Click image. Every one of our books is in our Australian stockrooms ready for immediate delivery. Publisher: Hodder, Sydney, 2004, reprint, 1st pub. 2004, hardcover large 8vo with dj, 490pp., B/W PHOTOGRAPHS, 17 Chapters, Epilogue, Bibliography & INDEX. Condition:Dark Green cloth-bound hardcover with bright silver title to spine, minimal edgewear, CLEAN & TIGHT in VERY GOOD CONDITION, previous owner's name to front endpaper, in an unclipped GOOD DUSTJACKET with very slight edgewear. 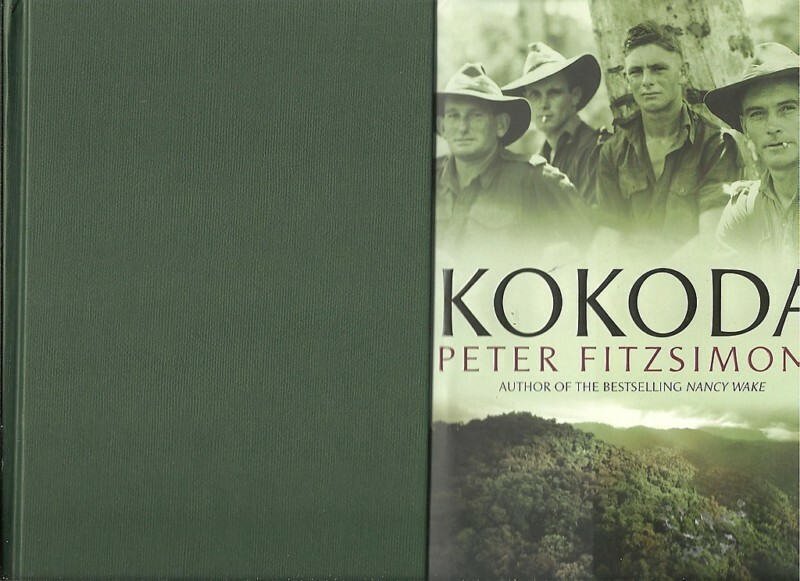 Description: Moving, gripping and exciting, Peter FitzSimons has written a masterful account of this iconic campaign that will ensure all Australians can understand what a small band of Australian troops achieved high in the New Guinea jungle - and marvel at it. 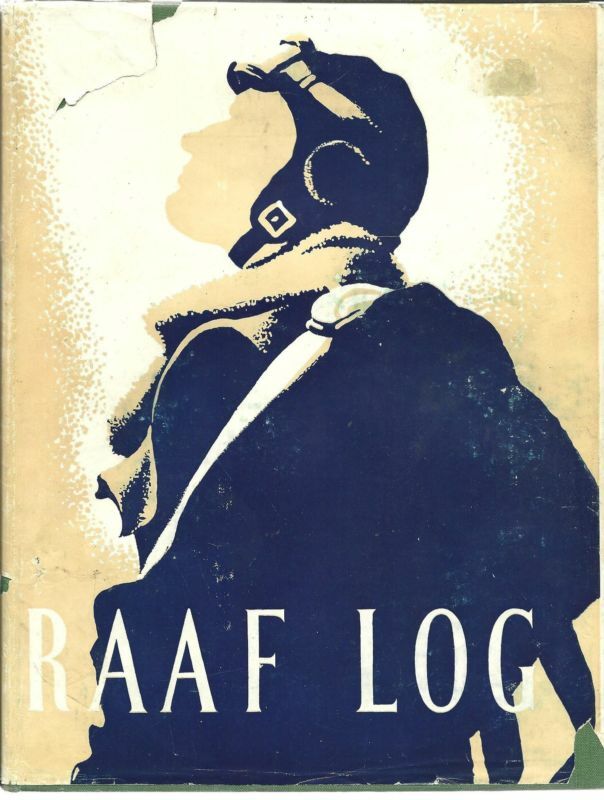 Publisher: Australian War Memorial, Canberra, 1949, First edition, 196pages, h/c quarto with dj, 2 sections, first-hand reports, frontispiece, b/w b/w photos & 2-colour illust. 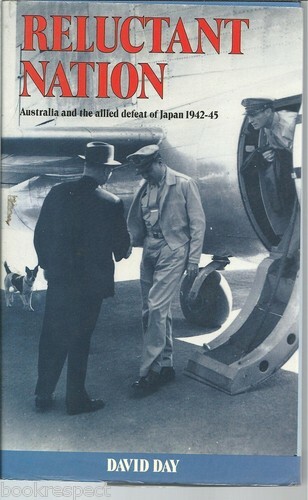 Publisher: Australian War Memorial, Canberra, 1944, 200pages, h/c quarto with dj, over 80 sections, first-hand reports, coloured frontispiece, b/w photos and colour plates. Description: Pacific : Europe : Photos and illustrations of Ships and serving men - Aranta - Kapunda - Corvettes - Lonsdale - Napier - Nizam - Ipswitch - Fairmile - Crete Arafura Sea and much more. Condition:Crisp green cloth-bound H/c with title to spine & frcvr, STRAIGHT, TIGHT and CLEAN in GOOD CONDITION with no inscriptions, in a scarce, near-intact, unclipped GOOD MINUS DUSTJACKET with minor chips, tears and marks, ROBUST, with marks to the rear cover. Description: Pacific : Milne Bay, Wau, Timor, Solomons - Atlantic : U-Boats, Sicily - Attack Squadrons - The MRS Photos and illustrations of aircraft. Publisher: Published by Frederick Muller, London, FIRST EDITION, hardcover 8vo with dj, 45 chapters, 247 pp. 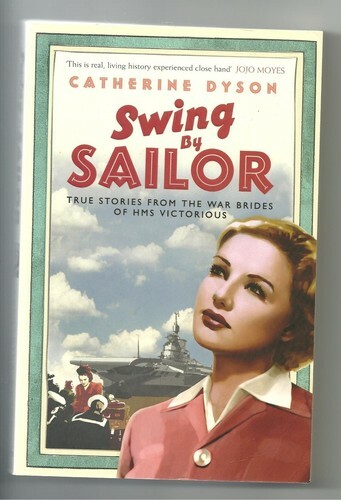 Author: John F Moyes, Sub-Lieutenant, RANVR - WWII Royal Australian Navy Military History World War Two - A RARE Title. Publisher: Hachette, Sydney, 2007, softcover 8vo, 274 pages, 7 Chapters, B/W PHOTOGRAPHS. 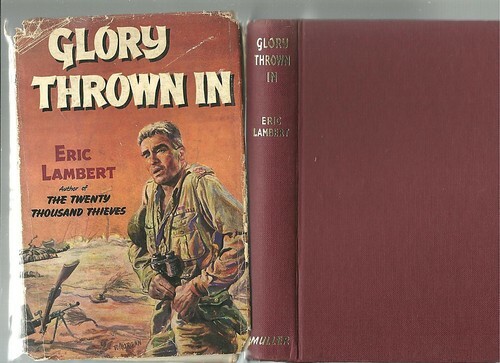 Condition:Illustrated softcover with title to spine & frcvr, slight rubbing to spine & corners with slight creasing to bottom front corner, no inscriptions, CLEAN & TIGHT in GOOD CONDITION. Description: This is the true story of the voyage, told by the women who were once these young brides. They talk about Australia before and during the war, and the challenge of adjusting to a very different life in the UK. Publisher: OXFORD University Press, Melbourne, 1992, FIRST EDITION, hardcover 8vo with dj, 20 chapters, b/w plate photo illustrations, 366 pp., Index. Condition:Crisp blue cloth-bound hardcover with bright gilt title to spine, STRAIGHT, TIGHT and CLEAN in VERY GOOD CONDITION with no inscriptions, in an unclipped GOOD DUSTJACKET with minor rubbing. Appears unread as some preliminary pages are still uncut. Description: Deals with the period when the Second World War spread into the Pacific, dragging in the United States. A wide-ranging re-interpretation of the Pacific war, based on private diaries and confidential papers. Highly respected by Manning Clark the historian. Please select a valid item. Please select an item. We have more than 5000 positive feedbacks on ebay ! …and at other quality regional events….